Having a website for your business is like opening an online office for your business. People get to visit the website, check out your products and services, and contact you. However, how do you choose a good name for your online office? This post aims at answering the question by providing you tips on how to choose a domain name for your business website in Nigeria. Before we start with the tips, it would be good for you to understand what a domain name is. A domain name is the given name to a website on the Internet. It is usually made of letters, but sometimes, numbers and symbols are combined with letters to form a domain name. Before you can use a domain name for your business website, you have to buy it from a domain name registrar. Also, two persons or businesses cannot own the same domain name at the same time. The motive behind the use of domain names to name websites is to facilitate easy remembrance of websites names by humans. At the operational level of websites, information transfer between the browsers and the web servers is through numerical IP addresses. In essence, domain names are the human-friendly version of numerical web IP addresses. Now let’s go through the tips on how to choose a domain name for your business website in Nigeria. Go for “.com” domain extension: While we now have lots of domain extensions such as “.com.ng,” “.org,” “.shop,” “.biz” , it is advisable you should stick with .com domain extension. 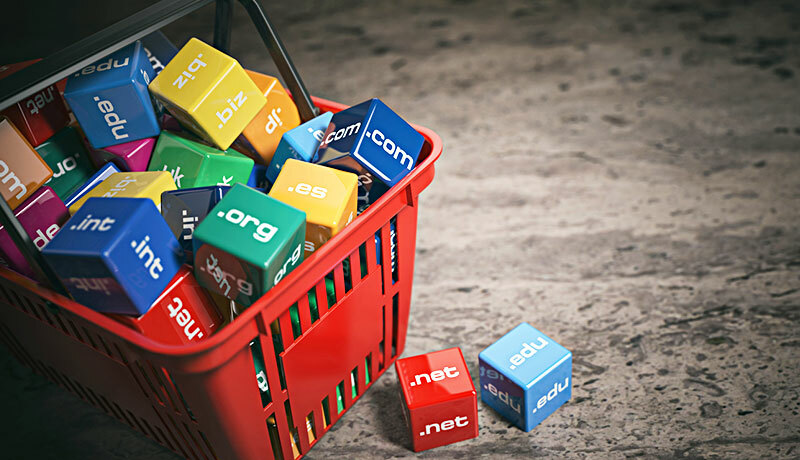 This is because .com is the most popular top-level domain; when people type a domain name in their browser, they only want to end it with .com as that’s what they are most familiar with. Therefore, going with domain extensions like “.com.ng,” “.ng,” or “.biz” may not be helpful to your business. Besides lots of people now browse using their phones, and the auto-complete domain extension provided in most smartphone browsers, after typing the domain name, is .com. If your business website ends in “.com.ng” or “.ng,” you are making these people do extract typing. Don’t forget we are all lazy. Make it stand out: An outstanding domain name is catchy, unique, and memorable. To make your domain name stand out, you should check out the domain names of competitors in your industry, and think of how to make yours different from theirs. Researching your competitors’ domain names would also save you from picking a domain name close to your competitors’, which saves you from a possible allegation of misbranding and trying to use your competitors’ trademark name. Don’t make it too long: The maximum allowed characters for a domain name is 253 characters – but of course, you don’t want to use all the characters. The recommended number of characters for a domain name is 15. Shorter domain names are easy to remember and reduce the possibility of people making typo errors while typing your domain name into the address bar. Make it easy to spell and easy to pronounce: Domain names that are easy to spell and pronounce are easy to remember. So when choosing a domain name for your business, you should make it simple and pronounceable. Also, you should avoid the use of symbols (such as hyphens, underscores, etc.) and numbers in your domain name. People are comfortable with domain names written all together, without symbols or numbers separating the letters or words forming the domain name. For example, people are more comfortable with “www.topyougo.com” than “www.top-you-go.com”. Making your business domain name easy to spell, easy to pronounce, and free of symbols and numbers would make people easily remember it. Add keywords: Although search engines would use the meta-description of your website to know what the website is all about, adding keywords to your domain name would make search engines understand your website In a similar vein, if you run a local business, adding the city or town where you operate to your domain name would make people instantly know your business is in their location. For example, a domain name like www.pizzalagos.com tells people that the business specialises in pizza and serves people that reside in Lagos. Consider buying mistyped domain name and other domain extensions: People are likely to mistype your domain name or use a different domain extension with your domain name; to prevent losing traffic from this, you should consider buying the possible mistyped domain names and extensions of your website. Using the www.pizzalagos.com example, you can buy mistyped variation and domain extension like www.pizalagos.com (one Z is missing from PIZZA) and www.pizzalagos.com.ng. After buying the mistyped variations and the other domain extensions, you can then 301 redirect them to your main website, and you would never lose traffic from mistyped domain names and extensions again. Now that you have the tips on how to choose a domain name for your business website, the next thing is brainstorming on the perfect name. You then need to hire a good web designer that would translate your business philosophy into a stunning website. If you need help in coming up with a good domain name and designing and hosting your website, don’t hesitate to talk to our expert.